I’m making progress on my ‘D’ titles! -Black Velvet (Alannah Myles) Nailed it! -Jolene (Dolly Parton) Changed the words to ‘Phoenix’ and did well! I sooo need to add this to my warm up list! -The Night the Lights Went out in Georgia (Reba) Very good! -Dream On (Aerosmith) Sang this with Karaoke Jim, and thought it went well. In two weeks, I’ll sing it solo and see how I sound. One more week and I’ll be into the ‘E’ titles!!! Have a wonderful 3-day weekend and I’ll be back next week! Also finally finiished Kathleen Woodiwiss’s The Reluctant Suiter. The only good thing about this was at the end, I noticed two more books of hers I’d not known existed, the sequels to The Flame and the Flower. 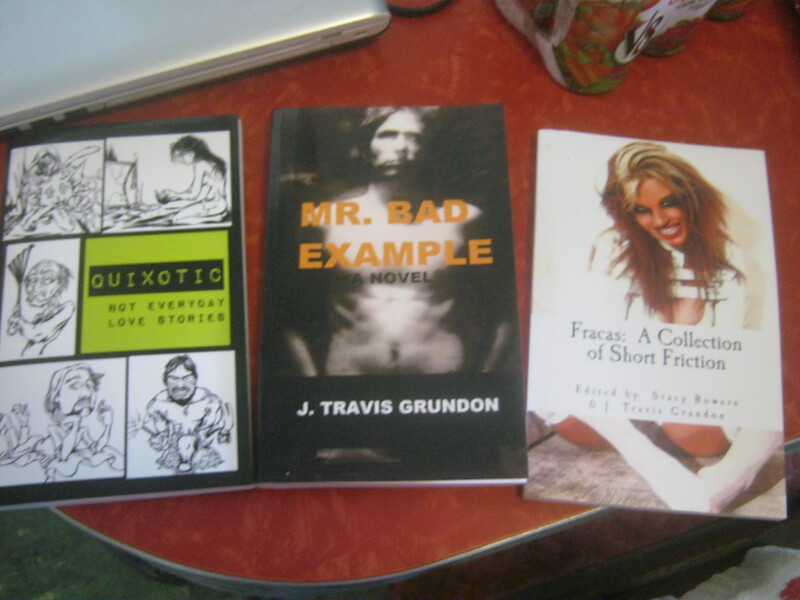 One is Jeff’s story (Brandon’s brother) and the other is Beau’s (Brandon and Heather’s son). Looking forward to getting both of these and catching up with the Birminghams! I’m in the process of finding my motivation and getting back to work on any of three projects. Plus, I’ll be at a local Wine and Art Festival tomorrow night, so am making sure all my promo is in order. Really don’t have much to say, other than if Amanda doesn’t watch it on Big Brother, she’ll find herself out the door. Her plan to save Andy from the chopping block kinda backfired on her. But kudos to winning the Power of Veto! Hoping Aaryn goes home tonight. I like ‘McCranda’, no matter what everyone else thinks. I’m hoping McCrae wins this thing. Get Elissa and Gina Marie out of there, pronto! Welcome back to the Hump Day madness we all know and love:) Click the link for the other participating authors. Today I’m taking you back to the 1st day of college; the day you meet your roommate(s) and wonder if you’ll get along. Enjoy! The door to 135 stood ajar and Elicia could hear music playing. Elicia gathered her courage and pushed open the door to slight chaos. On one side of the room, Van Halen rocked from a large boom box as a short, brown-haired girl stood on a chair, taping posters on the wall. On the other side, a tall, slim, blonde-haired girl hung clothes in her closet. A cooler of soft drinks stood open on an empty desk. Elicia checked both sides of the room wondering which side would be the better choice. The blonde girl caught her eye. “Elicia. It’s spelled with an E.” Why couldn’t my parents have named me something easy to pronounce? “I see. Whew, I guess this is semi-awkward. Keri! Elicia’s arrived.” Gretchen darted past her to the other side and soon Van Halen silenced. Love On The Rocks is available at Sweet Cravings, Amazon, and B&N. Love Weighs In Has Arrived!!! “I’m a man of many hidden talents, my dear.” He saluted her with his beer. Releasing TODAY at Secret Cravings Publishing! And since it wouldn’t be release day without a contest, answer this question: What was Susan drinking? I spent most of July in the Editing Zone. We also straightened out the issue with our daughter, and looked forward to a relaxing vacation in Colorado. And then I learned Kenzie would be on a Review Tour the same week! I preposted her blog and left an update on mine, to help with the promo. I think it worked; she had a total of 43 comments and the reviews were all good. Vacation was relaxing, and I did get about 100 words written while in a peaceful spot by the river. But most of my time was in videographer mode, since my mom came down with altitude sickness, then her body reacted to the previous 2-week stress. Result, she could not be far from her hotel room the entire week. So I decided to give her a virtual vacation and filmed nearly everything we did, so she could watch it at the end of the day. We made her room ‘Vacation Central’, and checked in 1st thing in the morning, then after every activity, and again in the evening. So even if she couldn’t participate, she didn’t feel left out! Thyroid meds were boosted, and made an appointment with my Indpls dr for a 2nd opinion. Am also scheduled for a sleep schedule in September, fun fun. I’d saved 15 books on my Kindle for the trip, only to have it confiscated by my daughter, who read BC Brown’s books and played games on it. She also switched it to her FB account. I know what I’m getting her for Christmas!! Tansy Taylor-Kathy LaMee Bleh. Too long, too many spelling and punctuation errors. 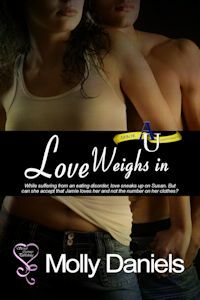 Love Weighs In releases soon, and I still have to find the notebook which has the address and phone number of the eating disorder clinic I called in order to research this topic. I also read several books and interviewed one of my adopted teens, who saw what was going on in her school. The counselor pooh-poohed her observations, but I kept it in the book. School began last Friday (idiotic, I know…) and have decided to resume the walking. The SU and I did 14 blocks today, so we’ll see how far we work up to. I’d like to resume my 3 miles, but he’s not up to that level yet. Believe it or not, I started another wip while on vacation, and over the weekend the character sketch ‘fleshed out’ in my brain for the heroine. I know how they’re going to meet; what their initial conflict will be; just don’t know when I’ll get around to writing it. We need to get a regular schedule first, since I seem to spend 2 hours every morning on the business side of my job. Then I need to get up and stretch, and do the Mommy/Grandma/Wife job. I wish I could just go to an outside office every morning. There are too many distractions here. Anyway, starting tomorrow, I’ll be posting a few pics from the vacation for you enjoyment, if you haven’t already scrolled through the 400+ on my FB page! I woke up Saturday August 3rd and felt as if I’d just slept on my neck wrong; it felt like I’d sprained the left side of my neck, or just pulled a muscle. But the pain continued, and it even hurts to lift my arms above my head to wash my hair. So went to the dr last Thursday. CBC came back clean, and she’s unsure why my immune system has kicked into high gear. There’s obviously some kind of infection which no tests are finding! And then my daughter tested positive for Mono on Saturday. I wonder if I’m the carrier? I’m also extremely fatigued (Sat slept 10 hours, was up three, then took three hour nap; Sun slept 8 hours; up 6, slept 3 more; awake for 4; went to bed). I’m finished with the ‘Don’ts’!!! Since there were only 4 of us singing at first, I got through my entire list of 5 songs in the 1st hour! Alone (Heart): Warm-up, and don’t think it sounded too bad; it’s been a while since I’ve sung this! Don’t Turn Around (Ace of Base): Ugh. Thought I did better in practice. Scratching this one off. Down On The Corner (CCR): Didn’t know how it would go, but it turned out to be one of my best of the night! And discovered I’ve been singing the chorus wrong all these years, lol! Close My Eyes Forever (Ozzy Osborn/Lita Ford): Finally! Mark and I nailed this one! And he did NOT drown me out, lol! Downtown (Petula Clark): May keep this one also:) Did well on it! Shambala (3 Dog Night): Surprisingly, I did well on this one:) Need to get it on video.